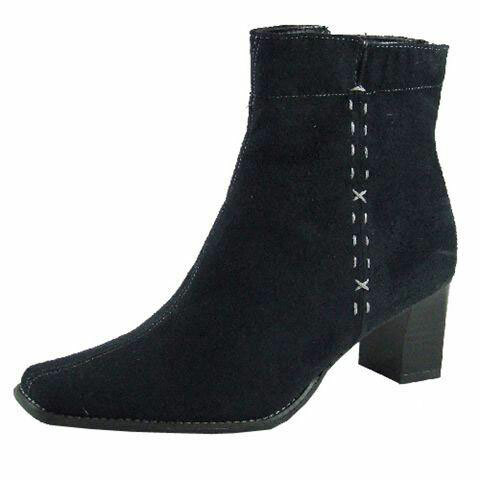 Fantastic microfibre imitation suede ankle boots in black, with feature top stitching. The ladies ankle boots have a 6cm block heel and fashionable chiselled toe. The ankle boots are also available in Nut Brown.